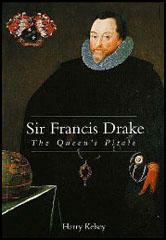 Francis Drake, eldest of twelve children, was born in Crowndale, near Taverstock, in about 1540. His father, Edmund Drake (1518–1585), was a passionate supporter of Martin Luther and during the Prayer Book Rebellion of 1548, he was forced to flee with his family to Chatham in Kent. Drake was apprenticed to a captain trading between the Thames and the Channel ports. 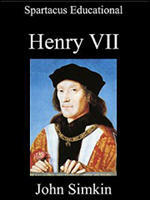 In 1563 he joined his cousin, John Hawkins, on a voyage to Africa. The two men started capturing people in Sierra Leone and selling them as slaves to Spanish settlers in the Caribbean. As it was illegal for the settlers to buy from foreigners, Hawkins and Drake soon came into conflict with the Spanish authorities. His first command was in 1567 when he took part in a successful attack on Spanish ships in the port of San Juan de Ulua. He returned to Plymouth with gold and silver worth over £40,000. Drake, a committed Protestant, saw himself as an instrument of God in his crusade against Philip II and the Spanish Empire. This was followed by voyages to the West Indies and in 1572 he seized gold and silver in the Americas and the Atlantic Ocean. 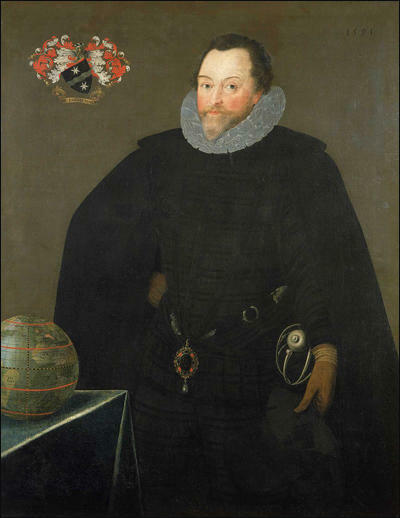 Drake was introduced to Sir Francis Walsingham, and this association led to a plan for Drake to take a fleet into the Pacific and raid Spanish settlements there. Investors included Walsingham, Elizabeth I, Christopher Hatton, John Wynter and John Hawkins. Drake's ship was the 150 ton Pelican, double-planked, lead-sheathed, and armed with 18 guns. Wynter contributed his own 80 ton Elizabeth, which carried 11 guns. Another 12 guns were distributed among the 50 ton Marigold, the 30 ton Swan, and the 15 ton Benedict. The journey began in November 1577. By the end of the following month six Spanish and Portuguese ships were taken, then looted and eventually set free. Drake also abandoned the Benedict and took one of the Spanish vessels, which was renamed Christopher. The following month they captured a Portuguese merchant vessel, Santa Maria. The commander was Nuño de Silva, who knew the coast of South America. Drake took Silva to serve as pilot of his own fleet. In June 1578 the fleet arrived at Puerto San Julián, on the southern coast of Argentina, where Drake put Thomas Doughty on trial for mutiny. He was beheaded on 2nd July 1578. Drake feared that others would rebel and so he called the captains and crew together, then announced that all the officers, who held their appointments from the owners of the ships, were relieved of command. He then reappointed them or most of them as officers responsible only to him. When Drake finally led his fleet through the strait and into the Pacific Ocean, Captain John Wynter took advantage of a storm to leave Drake and took his ship back to England. The Marigold, commanded by Doughty's friend John Thomas, also disappeared, and the Mary was abandoned at Puerto San Julián. Drake, who was left with only the Pelican, renamed it The Golden Hind. Drake now sailed up the Pacific coast. At Valparaíso he took a ship carrying 200,000 pesos in gold, then went ashore and raided the church and the warehouses. On 5th February 1579 he arrived at Arica on the north coast of Chile and captured a merchant ship carrying thirty or forty bars of silver. As a result of deaths in battles and sickness, Drake's crew to little more than seventy men. Only thirty of them were fit to fight, but that was enough, since the merchant ships Drake took were unarmed. On 1st March he captured the richest ship of all, Nuestra Señora de la Concepción, carrying valuable cargo and 362,000 pesos in silver and gold. Sailing along the coast of Mexico, Drake took a few more ships and raided several more ports. However, The Golden Hinde was leaking badly and needed to be careened. On 17th June 1579 Drake landed in a bay on the the coast of California. According to Drake's biographer, Harry Kelsey: "Sixteenth-century accounts and maps can be interpreted to show that he stopped anywhere between the southern tip of Baja California and latitude 48° N." Most historians believe that Drake had stopped in a bay on the Point Reyes peninsula (now known as Drake's Bay). Father Francis Fletcher, the chaplin to the expedition, later wrote in The World Encompassed by Sir Francis Drake (1628): "Drake's ship entered a convenient and fit harbour." Drake has been reported as saying: "By God's Will we hath been sent into this fair and good bay. Let us all, with one consent, both high and low, magnify and praise our most gracious and merciful God for his infinite and unspeakable goodness toward us. By God's faith hath we endured such great storms and such hardships as we have seen in these uncharted seas. To be delivered here of His safekeeping, I protest we are not worthy of such mercy." Francis Drake's cousin, John Drake, argued that "Drake... landed and built huts and remained a month and a half, caulking his vessel. The victuals they found were mussels and sea-lions." A local group of Miwok brought him a present of a bunch of feathers and tobacco leaves in a basket. 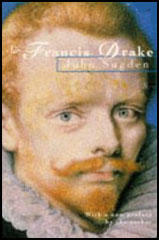 John Sugden, the author of Sir Francis Drake (1990) has argued: "It appeared to the English that the Indians regarded them as gods; they were impervious to English attempts to explain who they were, but at least they remained friendly, and when they had received clothing and other gifts the natives returned happily and noisily to their village." John Drake claims that when they "saw the Englishmen they wept and scratched their faces with their nails until they drew blood, as though this was an act of homage or adoration." Francis Fletcher suggests that the local people "dispersed themselves into the country, to make known the news." On 26th June a large group of Miwok arrived at Drake's camp. The chief, wearing a head-dress and a skin cape, was followed by painted warriors, each one of whom bore a gift. At the rear of the cavalcade were women and children. A man holding a sceptre of black wood and wearing a chain of clam shells, stepped forward and made a thirty minute speech. While this was going on the women indulged in a strange ritual of self-mutilation that included scratching their faces until the blood flowed. Robert F. Heizer has argued in Elizabethan California (1974) that self-mutilation is associated with mourning and that the Miwok probably thought the British sailors were spirits returning from the dead. However, Drake took the view that they were proclaiming him king of the Miwok tribe. John Drake pointed out in a statement he made in 1582: "During that time (June, 1579) many Indians came there and when they saw the Englishmen they wept and scratched their faces with their nails until they drew blood, as though this was an act of homage or adoration. By signs Captain Francis Drake told them not to do that, for the Englishmen were not God. These people were peaceful and did no harm to the English, but gave them no food. They are of the colour of the Indians here (peru) and are comely. They carry bows and arrows and go naked. The climate is temperate, more cold than hot. To all appearance it is a very good country." Drake now claimed the land for Queen Elizabeth. He named it Nova Albion "in respect of the white banks and cliffs, which lie towards the sea". Apparently, the cliffs of Point Reyes reminded Drake of the coast at Dover. Drake had a post set up with a plate bearing his name and the date of arriving in California. When the The Golden Hinde left on 23rd July, the Miwok exhibited great distress and ran to the hill-tops to keep the ship in sight for as long as possible. Drake later wrote that during his time in California, "not withstanding it was the height of summer, we were continually visited with nipping cold, neither could we at any time within a fourteen day period find the air so clear as to be able to take height the sun or stars." Drake then sailed along the California coast but failed to see the Golden Gate and San Francisco bay beyond. This is probably because the area is often shrouded in fog during the summer. The heat in the California Central Valley causes the air there to rise. This can create strong winds which pull cool moist air in from over the ocean through the break in the hills, causing a stream of dense fog to enter the bay. At Java Drake and his crew loaded plenty of food they sailed through the Indian Ocean, and around the Cape of Good Hope. The provisions lasted until 20 July 1580 when they reached Sierra Leone on the African coast. When Drake arrived in Plymouth on 26th September 1580, he became the first Englishman to circumnavigate the world. Drake return to England as a very wealthy man and he was able to purchase the Buckland Abbey estate. In 1581 Queen Elizabeth knighted Drake and later that year he was elected to the House of Commons. Drake carried out a successful raid of the Spanish Caribbean (1584-85) and managed to rescue the remaining English colonists in Virginia and returned to Portsmouth in 1586. He also led the expedition which wrecked the Spanish fleet at Cadiz in 1587. In July 1588 131 ships in the Spanish Armada left for England. The large Spanish galleons were filled with 17,000 well-armed soldiers and 180 Catholic priests. The plan was to sail to Dunkirk in France where the Armada would pick up another 16,000 Spanish soldiers that were under the command of Alessandro Farnese, the Duke of Parma. On hearing the news Charles Howard of Effingham, Lord High Admiral, held a council-of-war. Lord Howard decided to divide the fleet into squadrons. Francis Drake, John Hawkins and Martin Frobisher were chosen as the three other commanders of the fleet. Howard went in his flagship, the Ark Royal (800 tons and a crew of 250). Frobisher was given command of the largest ship in the fleet, the Triumph (1,110 tons and a crew of 500 men) whereas Drake was the captain of the Revenge (500 tons and a crew of 250) and Hawkins was aboard the Victory (800 tons and a crew of 250). Lord Howard decided that the Spanish Armada should be attacked at both ends of the crescent. The Ark Royal attacked the right wing and the Revenge and the Triumph attacked Juan Martinez, de Recalde, commander of the Biscayan squadron on the left. Recalde on board the San Juan de Portugal decided to come out and fight the English ships. He was followed by Gran Grin and the two ships soon got into trouble and had to be rescued by the Duke of Medina Sidonia on board the San Martin. At the end of the first day's fighting, only one ship was sunk. This was Spain's San Salvador when a tremendous explosion tore out its stern castle and killed 200 members of the crew. It was later discovered that a gunner's carelessness resulted in a spark reaching the gunpowder in the rear hold. The following morning Francis Drake and the crew of Revenge captured the crippled Rosario. This included Admiral Pedro de Valdes and all his crew. Drake also found 55,000 gold ducats on board. That afternoon Medina Sidonia announced that if any Spanish ship broke formation the captain would be hanged immediately. He also told his captains that they must maintain a tight formation in order to prevent further attacks from the English ships. This decision meant that they could only move towards Dunkirk at the speed of the slowest ship. Constantly harassed by the English ships the slow moving Spanish Armada eventually reached Calais without further loss. The English fleet now dropped anchor half a mile away. Soon afterwards they were joined by Lord Henry Seymour and his squadron of ships that had been controlling the seas off Dunkirk. This increased the English fleet by a third and was now similar in size to that of the Spanish fleet. Drake wrote to Seymour: "The fleet of Spaniards is somewhat above a hundred sails, many great ships... as far as we perceive they are determined to sell their lives with blows." The Duke of Medina Sidonia now sent a message to the Duke of Parma in Dunkirk: "I am anchored here two leagues from Calais with the enemy's fleet on my flank. They can cannonade me whenever they like, and I shall be unable to do them much harm in return." He asked Parma to send fifty ships to help him break out of Calais. Parma was unable to help as he had less than twenty ships and most of those were not yet ready to sail. That night Medina Sidonia sent out a warning to his captains that he expected a fire-ship attack. This tactic had been successfully used by Francis Drake in Cadiz in 1587 and the fresh breeze blowing steadily from the English fleet towards Calais, meant the conditions were ideal for such an attack. He warned his captains not to panic and not to head out to the open sea. Medina Sidonia confidently told them that his patrol boats would be able to protect them from any fire-ship attack that took place. Medina Sidonia had rightly calculated what would happen. Francis Drake and Charles Howard were already organizing the fire-ship attack. It was decided to use eight fairly large ships for the operation. All the masts and rigging were tarred and all the guns were left on board and were primed to go off of their own accord when the fire reached them. John Young, one of Drake's men, was put in charge of the fire-ships. Soon after midnight the eight ships were set fire to and sent on their way. The Spaniards were shocked by the size of the vessels. Nor had they expected the English to use as many as eight ships. The Spanish patrol ships were unable to act fast enough to deal with the problem. The Spanish captains also began to panic when the guns began exploding. They believed that the English were using hell-burners (ships crammed with gunpowder). This tactic had been used against the Spanish in 1585 during the siege of Antwerp when over a thousand men had been killed by exploding ships. The fire-ships did not in fact cause any material damage to the Spanish ships at all. They drifted until they reached the beach where they continued to burn until the fire reached the water line. Medina Sidonia, on board the San Martin, had remained near his original anchorage. However, only a few captains had followed his orders and the vast majority had broken formation and sailed into the open sea. At first light Medina Sidonia and his six remaining ships left Calais and attempted to catch up with the 130 ships strung out eastwards towards the Dunkirk sandbanks. Some Spanish ships had already been reached by the English fleet and were under heavy attack. San Lorenzo, a ship carrying 312 oarsmen, 134 sailors and 235 soldiers, was stranded on the beach and was about to be taken by the English. With their formation broken, the Spanish ships were easy targets for the English ships loaded with guns that could fire very large cannon balls. The Spanish captains tried to get their ships in close so that their soldiers could board the English vessels. However, the English ships were quicker than the Spanish galleons and were able to keep their distance. The battle of Gravelines continued all day. One of the most exciting contests was between Francis Drake in the Revenge and Duke of Medina Sidonia in the San Martin. Drake's ship was hit several times before being replaced by Thomas Fenner in the Nonpareil and Edmund Sheffield in the White Bear, who continued the fight without success. All over the area of sea between Gravelines and Dunkirk fights took place between English and Spanish ships. By late afternoon most ships were out of gunpowder. The Duke of Medina Sidonia was now forced to head north with what was left of the Spanish Armada. The English ships did not follow as Charles Howard of Effingham, Lord High Admiral, was convinced that most Spanish ships were so badly damaged they would probably sink before they reached a safe port. That evening Francis Drake wrote to a friend: "God hath given us so good a day in forcing the enemy so far to leeward, as I hope in God the Duke of Parma and the Duke of Sidonia shall not shake hands this few days". After the Armada rounded Scotland it headed south for home. However, a strong gale drove many of the ships onto the Irish rocks. Thousands of Spaniards drowned and even those who reached land were often killed by English soldiers and settlers. Of the 25,000 men that had set out in the Armada, less than 10,000 arrived home safely. Drake led a disastrous attack on Portugal in 1589. He returned to England and became mayor of Plymouth in 1593. He went on another exhibition to the Caribbean in 1595 and the following year died of dysentery at Porto Bello on 27th January 1596. Among Devon's merchant seamen piracy was not the only part-time business. The slave trade was also common, and members of the Hawkins family made a good deal of money in this noxious enterprise. 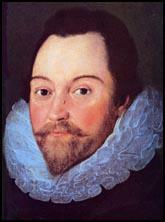 As early as 1560 Francis Drake sailed on one of the Hawkins slave ships, and in 1562 he went to sea with them again. John Hawkins commanded the four-ship fleet, which paused for a time in Tenerife, where the family had friends and business associates. From there he sailed on to Cape Verde and down the Guinea coast to Sierra Leone, where he loaded his ships with slaves bought from the Portuguese, stolen from other slavers, or captured in fierce battles at native villages. He took so many that he had to commandeer a Portuguese vessel to carry the slaves he could not cram into his own holds. Trading thus far had been so successful that Hawkins sent a small vessel home with the profits, Francis Drake apparently being one of the crew. The other ships continued to the West Indies for a round of trading at the ports of La Española. Astonished at the profits made in the voyage of 1562–3, Hawkins hurried through the preparations for a return trip, which began in October 1564, with young Francis Drake sailing again as a seaman on one of his four ships. The fleet stopped once more in the Canaries, but met with somewhat less cordiality than before. The Englishmen captured a load of slaves in Sierra Leone, then sailed to the West Indies and the coast of South America, where the slaves and trade goods were sold at a substantial profit. This time the Spanish king had forbidden his subjects to trade with the foreigners, so Hawkins pretended to attack the colonial ports, after which the people surrendered to his demand and bought his cargo at good prices.